The Reward Points Program allows you to earn points in mbeautystore.com. 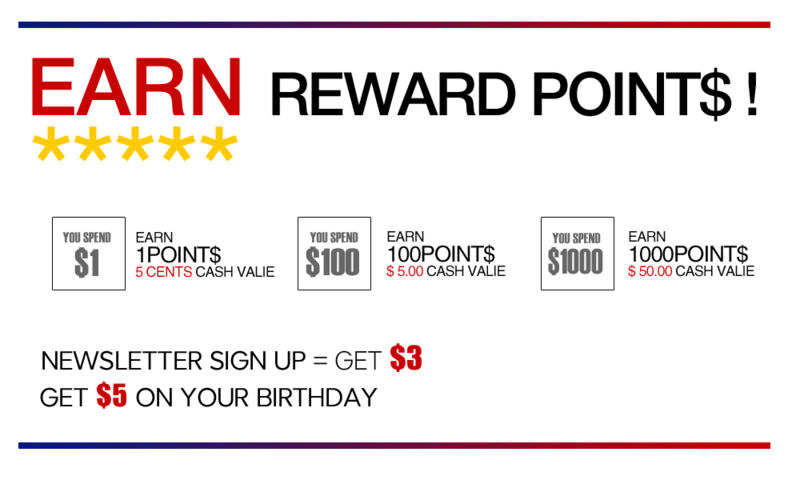 Points are awarded for purchases, for news letter registration, birthdays and more. All members earn 5% when they purchase qualifying products on mbeautystore.com. Taxes, delivery charges, coupons and gift cards do not count towards earning Reward Points. Rewards are tracked automatically and they are displayed on My Account menu. Points will be added to your Account only after you order has been completed. The amount of points earned on your recent purchase, will be reflected on your account after each purchase. • Making purchases - every time you make a purchase you earn 5% of your purchases on qualified items as reward points. These points are added to your Reward Points balance. $3 bonus point for first time registration. $3 bonus point for first time news letter registration. Exchange를 통해 Store Credit을 받은 경우 Website에서 보너스 형태로 지급된다. 이것은 오직 mbeautystore.com에서만 사용할 수 있다. Store credits received from exchange will be given as reward points which can be used only at the website. Exclusions: Points accumulated on different Accounts of different Members may not be combined, transferred, or aggregated. Points earned in a transaction cannot be transferred as cash. Managing My Reward Points You have the ability to view and manage your points through your Customer Account. From your account you will be able to view your total points (and currency equivalent), minimum needed to spent your point, redeemed and lost. The history record will retain and display points earned and spent, including your store credits.